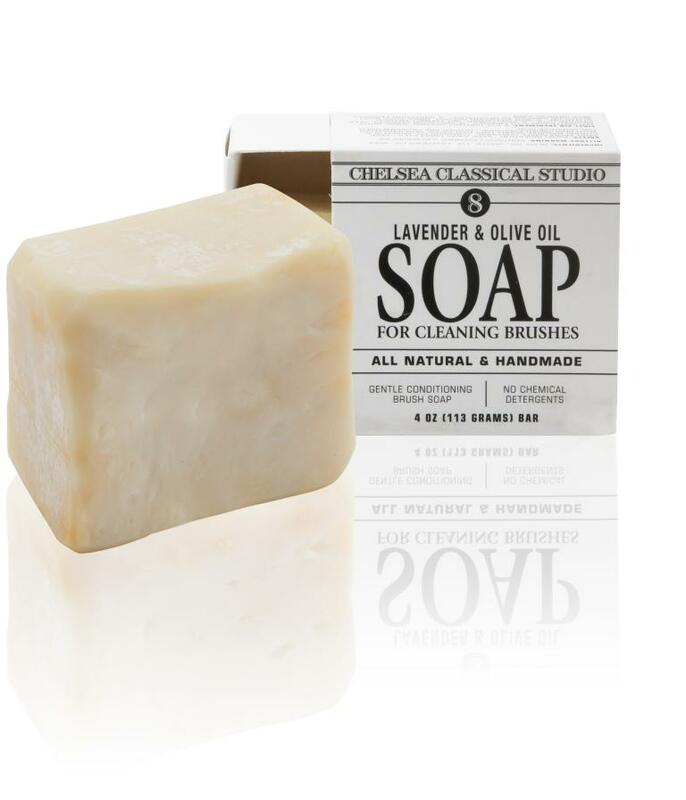 Lavender & Olive Oil Brush Soap is a handmade soap created to both clean and moisturize paint brushes, keeping them in good condition for future use. It is made from olive oil, lavender oil, wax, and lye. No chemical detergents or additives are used. Simply clean paint brushes with Lavender & Olive Oil Brush Soap and warm water after your painting session. After all traces of paint and medium are gone, thoroughly rinse out the soap from the brushes with warm water and let dry. Combine with Lavender Brush Cleaner or Citrus Essence Brush Cleaner to increase the longevity of your paint brushes.